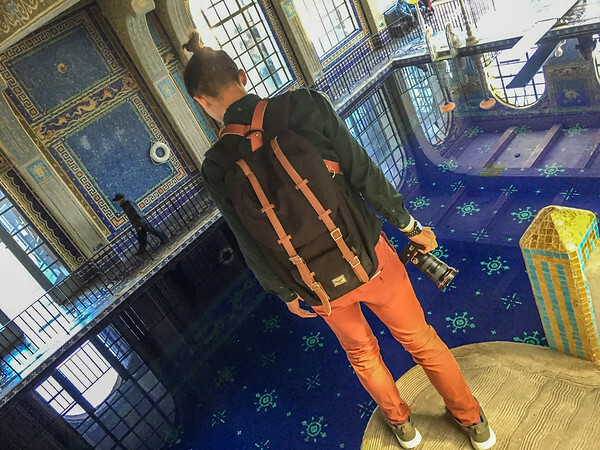 A few weeks ago, I crossed one big item off my California travel bucket list–I finally made it to Hearst Castle! 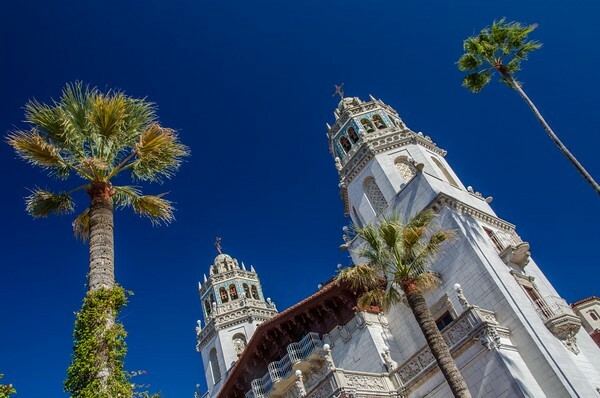 Hearst Castle is an extravagant hilltop retreat on California’s Central Coast built in the late 19th and early 20th-century by wealthy newspaper baron, William Randolph Hearst. 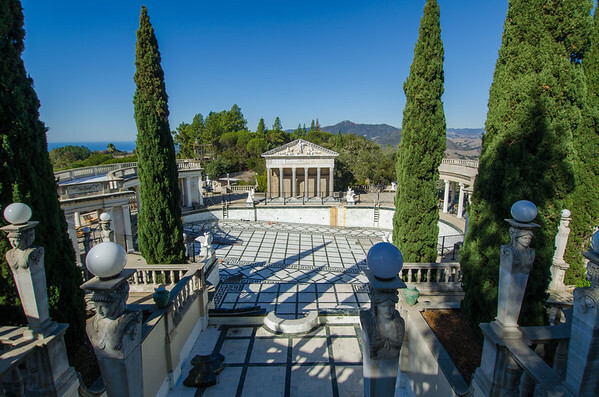 With the help of legendary architect, Julia Morgan, Hearst dreamed up this 165 room mansion, with 127 acres of manicured hilltop gardens, fountains, and swimming pools. 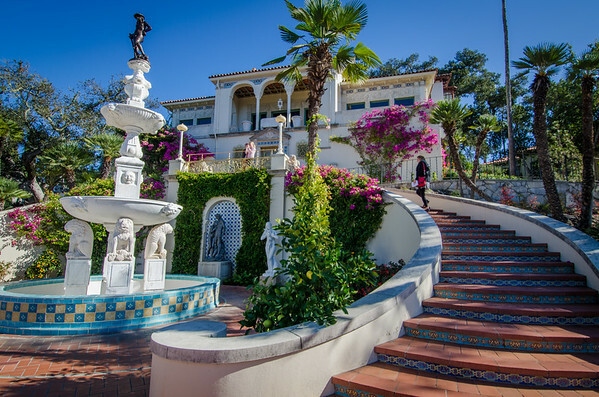 He called it La Cuesta Encantada, Spanish for “the enchanted hill.” The home was donated to the State of California back in the 1960’s and is now managed by the California State Park Service. 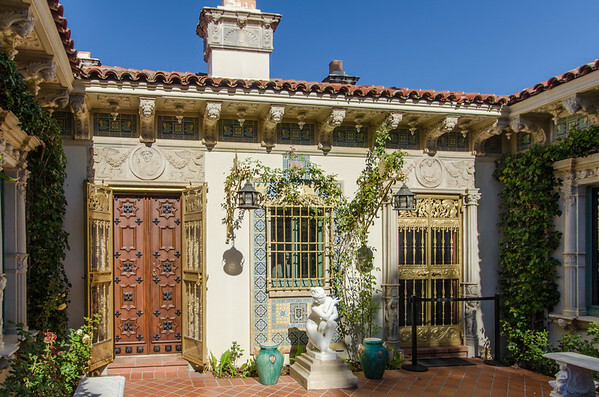 Hearst’s mansion is one of the state’s top tourist attractions and a popular stop for travelers driving up Highway 1. I’ve wanted to go for years, but could never work it into visits to the Central Coast. 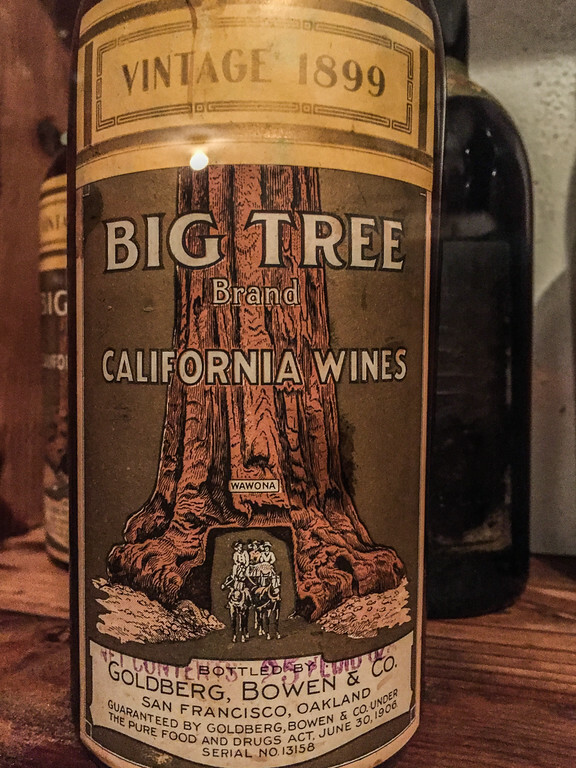 I was excited to see it on the itinerary of my recent Paso Robles trip. 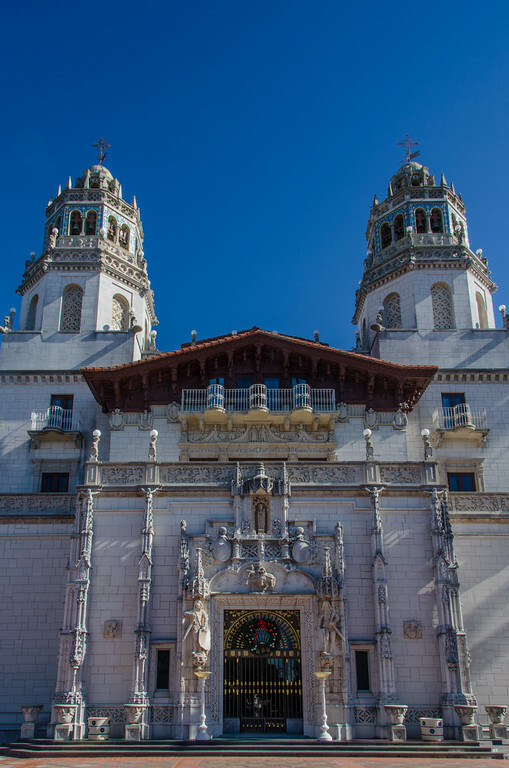 Tip: Each visit to Hearst Castle starts at the base of the hill at the state park’s visitor center. 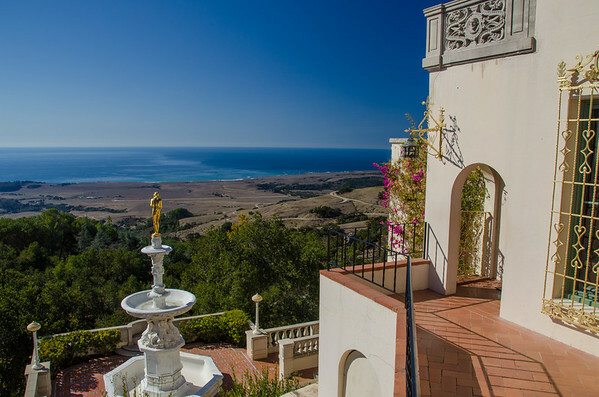 This is where you leave your car, buy your Hearst Castle tickets, and catch a bus up to the top of the hill to visit the estate. 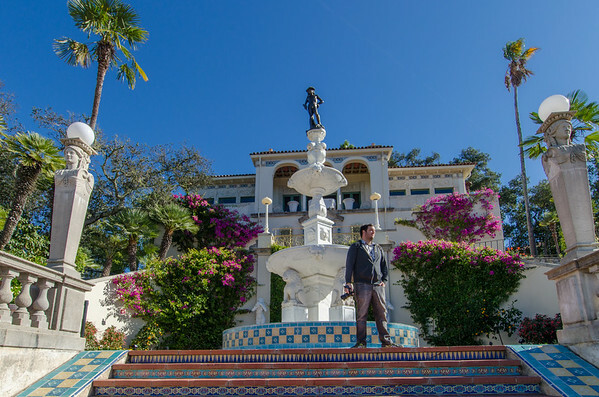 I highly recommend saving time in to watch the 40-minute introductory film, “Hearst Castle: Building The Dream.” It has wonderful cinematography including gorgeous aerial shots of the coast and a look at Hearst’s life and the estate’s history. It puts everything you’ll see into context. 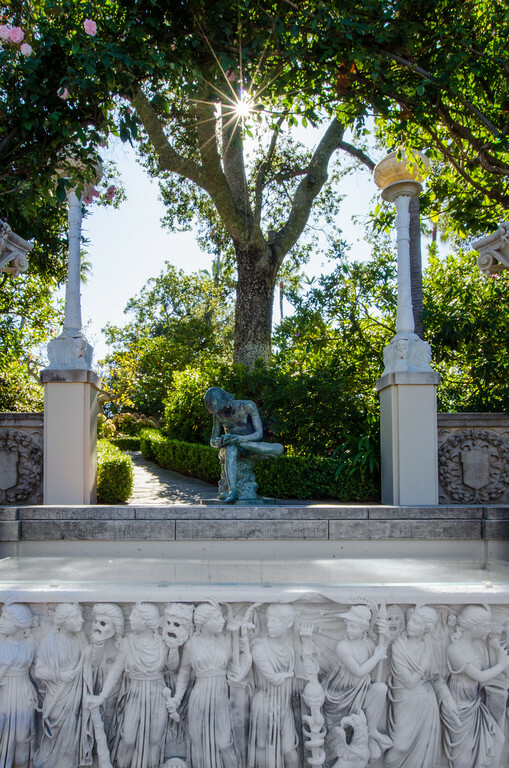 One of the first things you see when you climb the hill to the estate is the Neptune Pool, a massive white and black marble tile pool built to evoke ancient Rome. 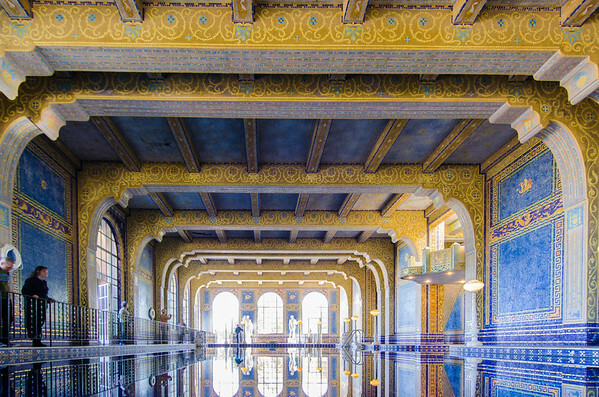 The pool is empty now, for repairs and as a conservation due to the California drought, but it was still an impressive sight. 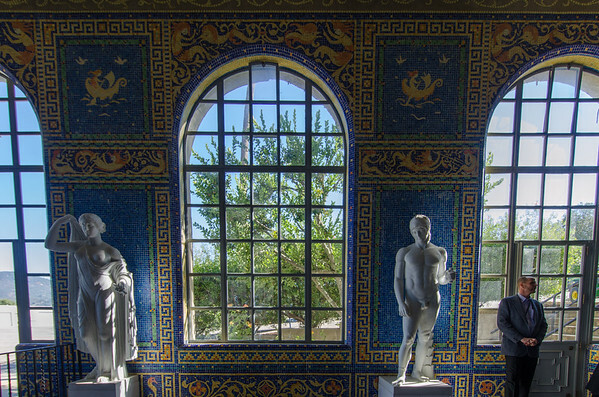 The estate is decorated with Hearst’s private collection of art, including this Roman (~230 AD) marble work, the Nine Muses Sarcophagus. The Casa Grande is the main estate, built to look like the Church of Santa María la Mayor, in the town of Ronda, Spain. 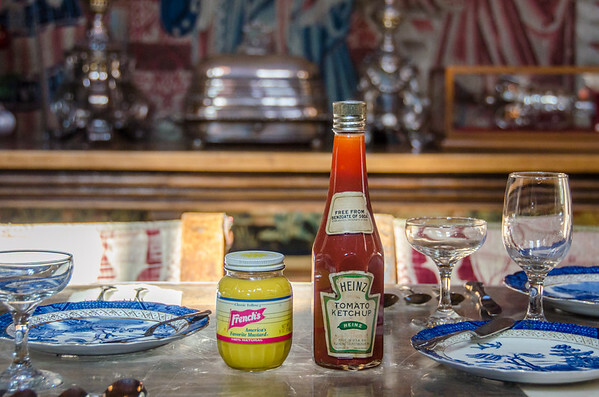 Much of the estate was inspired by Hearst’s childhood travels in Europe. 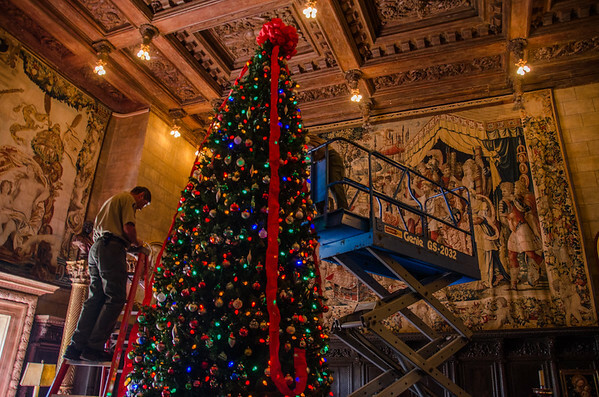 And smaller trees decorating the formal dining room. 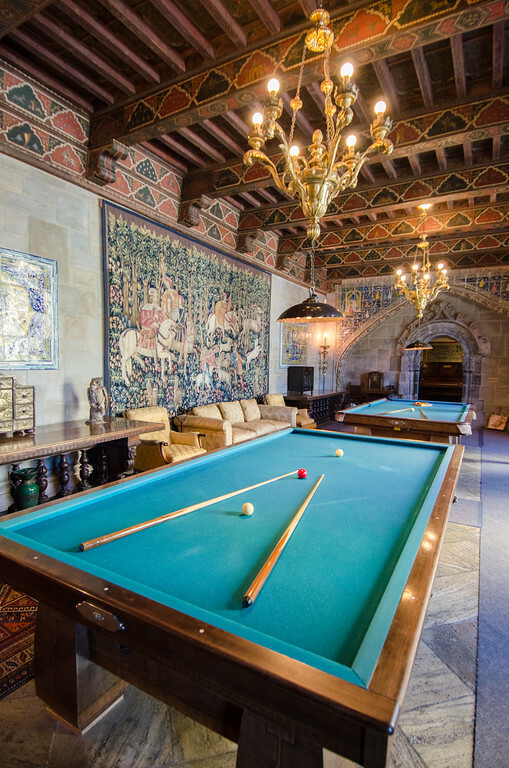 Inside the Billiards Room where Hearst entertained his rich and famous guests, a who’s who of early 20th-century Hollywood, media, and politics. 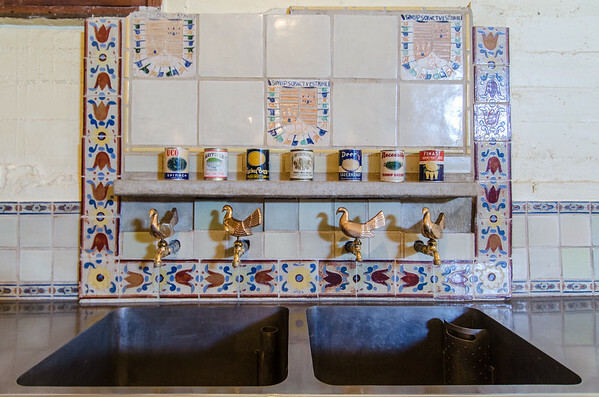 I grabbed a quick look inside the kitchen, and I loved the details in the tile and metalwork. The castle has a movie theater, with seating for 50 people. 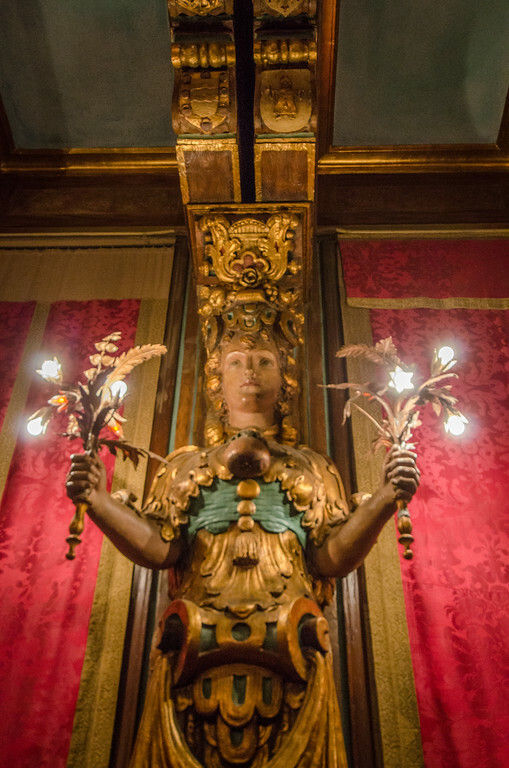 Inside the estate’s wine cellar, stocked with wines of the 19th and 20th-century, both European vintages and early California wines. 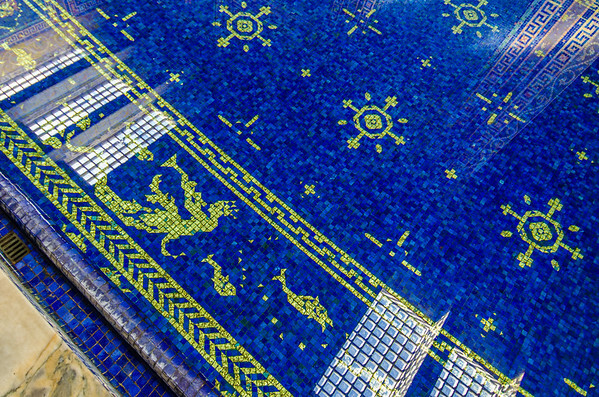 The final stop (and highlight) of the tour was the Roman Pool, Hearst’s elaborate indoor swimming complex decorated with millions of gilded tiles. You can climb up on the second story diving deck for one of the best views. After the tour, we took the bus back down to the visitor’s center where we had lunch at the grill. 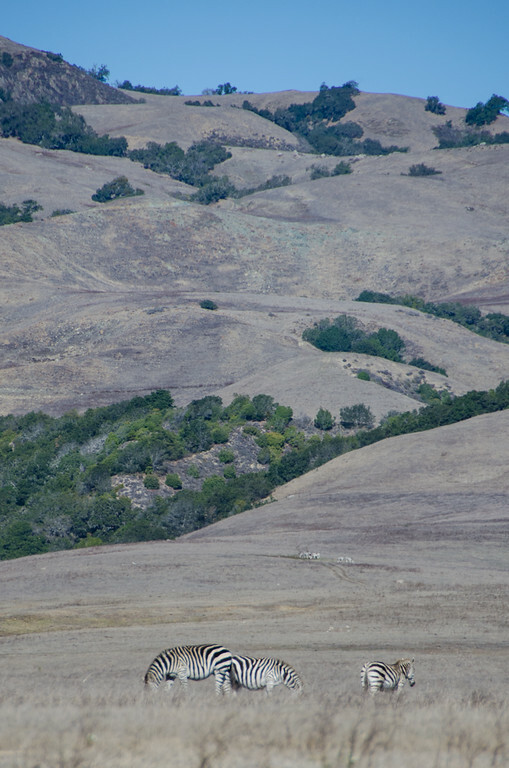 On the way into or out of the Castle, be sure to scan the fields along Highway 1 for the herd of wild–get this–zebras! These animals are the ancestors of Hearst’s private zoo, and now roam the cattle ranch at the base of the hill. I was a guest of the California State Parks and TravelPaso. All photos are my own. 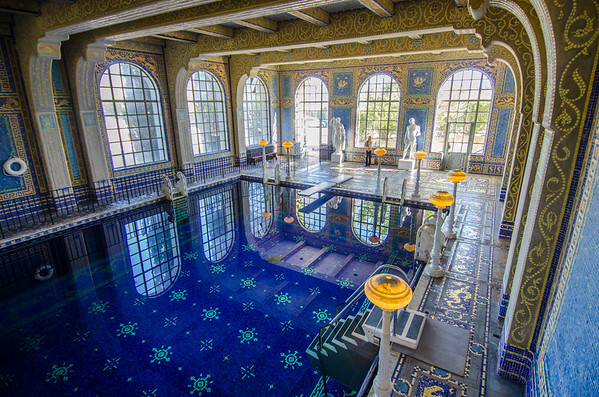 Have you ever visited Hearst Castle California? 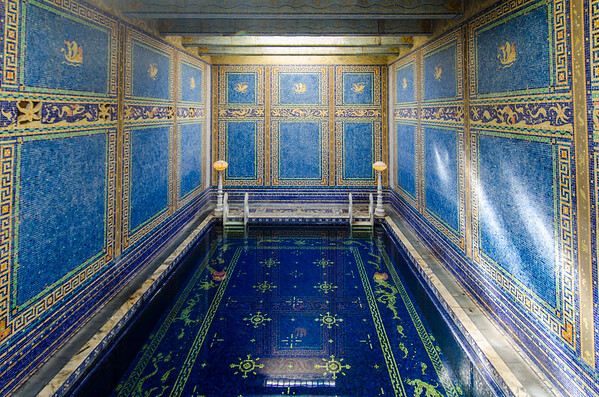 I haven’t been to Hearst Castle, or that part of the coast, but would love to visit. I find those zebras so fascinating! 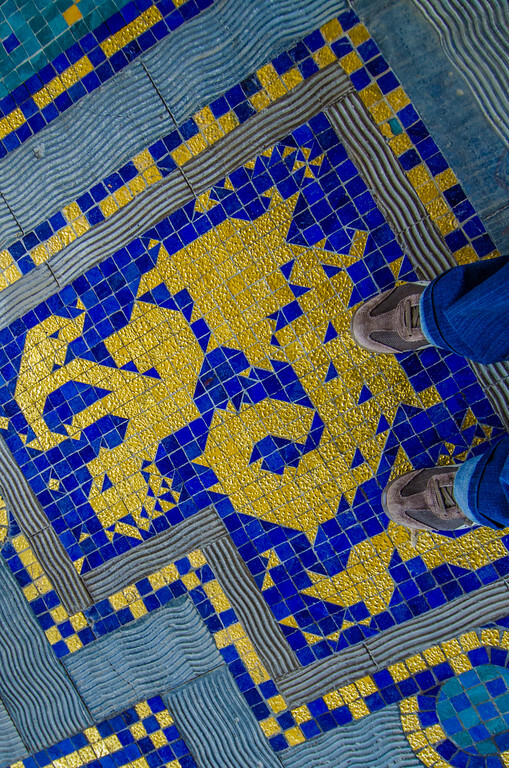 And I love the details of the architecture that you captured-what a unique place! I didnt notice the wines when we were there . 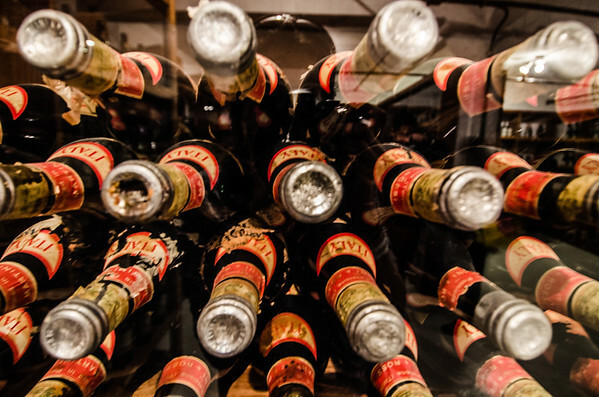 .. but there is a tasting room at the bottom of the hill we like! Yes, the Hearst Ranch Winery tasting room! I haven’t been there yet–it was closed the day we tried to go last year. What are your other favorite Paso Wineries? 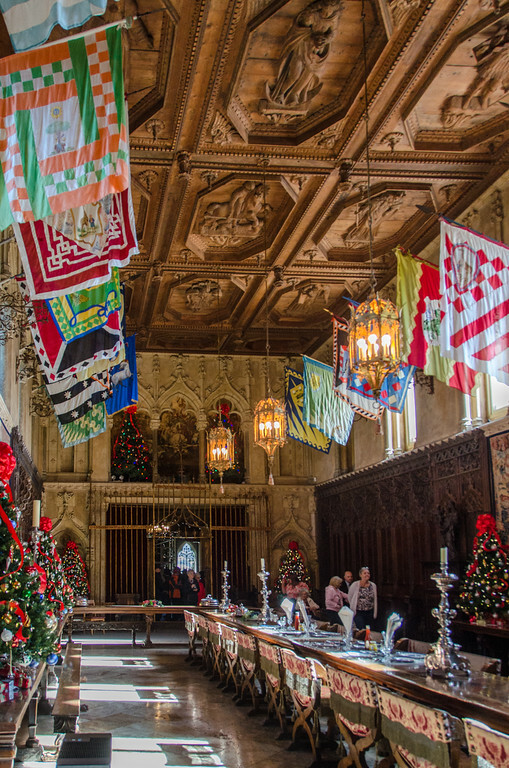 There’s that one that you had at your wedding–we visited there with my sister a few years ago. That one was a favorite! I’ve wanted to visit for years, but each time we go to the US, there never seems to be an opportunity. Hopefully it’ll be on our agenda later this year! It is a great stop on any California Highway 1 road trip, but there are so many (especially for international visitors!) so I can’t blame you. Let me know if you ever make it to the Bay Area!